1979’s Alien was a landmark horror film, as well as one of the films that launched Ridley Scott into director super stardom. With a tense atmosphere, a great lead performance from Sigourney Weaver, and one of the most iconic movie monsters in film history, Alien was an instant classic. The palpable tension present in that movie seemed perfect for a video game, but the franchise has had a troubled history with the games under its brand. You have serviceable entries like Rebellion’s Alien vs Predator game from last generation, to the abomination that is Aliens: Colonial Marines. But finally, in 2014, we got Alien: Isolation, and I finally started playing it very recently. The story follows Amanda Ripley, Ellen Ripley’s daughter, after her mother went missing during the Nostromo incident. Weyland-Yutani comes to her after discovering a flight recording by her mother that is being held aboard a space station. She agrees to go and retrieve it, but when they attempt to board the station, she’s separated from the ship and her crew mates, leaving her stranded aboard the station, seemingly alone. I’m only an hour or two into the game and I’m already exceedingly happy as an Alien fan. I’ve never felt like I was inside the universe these films take place in the way I have been within my first steps onto Sevastopol, the space station that serves as the setting for this game. 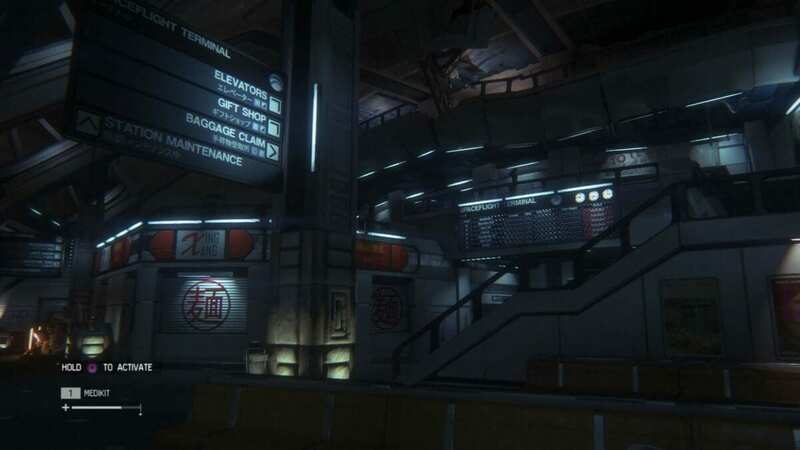 Creative Assembly sets the atmosphere instantly as you enter the steam filled hallways of the station, with the familiar chirping and whirring of the computer systems going off around you. This is a game best played with surround sound headphones jacked up as high as you can. 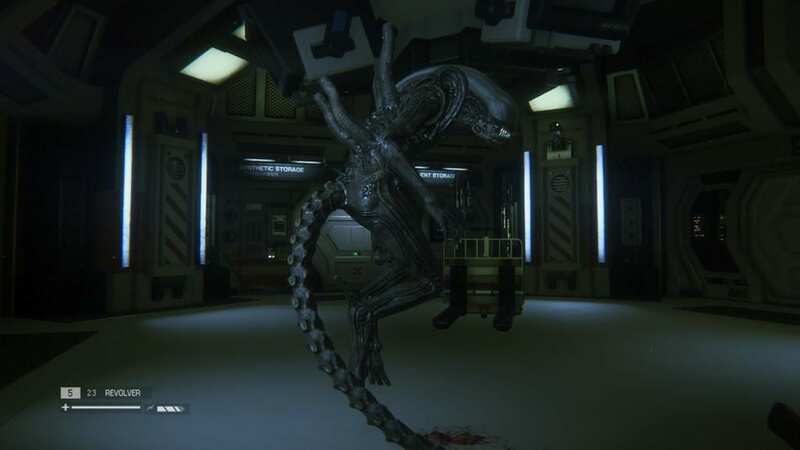 The atmospheric noise, the bangs and cracks of the busted station, dripping pipes, and the slithering and hissing of the Xenomorph are positively unnerving. Adding to that is the music, which is fantastic. It is very much like Jerry Goldsmith’s amazing score for the original film. It’s delightfully atmospheric and ramps up the tension in some of the more intense moments. Graphically, Alien Isolation keeps you within this authentic world with some fantastic lighting and level design. They dress the environments meticulously to match up with the world created in Ridley Scott’s original masterpiece. Character models look pretty good, although occasionally there are some wonky, plastic facial animations. The androids are a very haunting sight at times. With their brightly lit eyes coming at you in the darkness and going red when they attack will send chills down your spine. For the majority of the gameplay I’ve gotten through so far, much of it revolves around stealth. You run into androids that are stronger than you, as well as survivors early on. The survivors generally don’t like you, and will shoot you on site. At the point I’m at, I currently don’t possess a gun so if I’m caught, I’m dead. The stealth in these sections isn’t particularly difficult, just pairing the sound design with the visuals makes it really nerve-wracking. I’m really looking forward to diving deeper into this game, getting further into Amanda Ripley’s story, seeing what happened to the space station, and most importantly, facing off against the Xenomorph and dying MANY times. What impresses me the most about Alien: Isolation thus far is the aesthetic of the game. The tangibility of it, the way it perfectly captures the essence and feel of the first (and best) Alien film. It feels like it could easily be a side story that exists within the same continuity as the first two. It’s this authenticity that really makes it stand apart from a lot of the other movie licensed games. 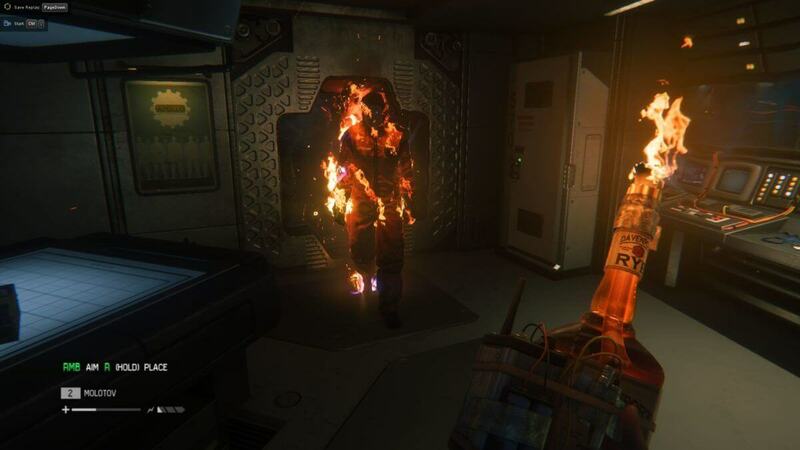 What do you think of Alien: Isolation? For more great gaming content, keep checking back right here at Geeks+Gamers. Stay nerdy everyone!